The image is haunting. A construction truck stopped in the middle of a Millbank roundabout, police with notebooks and cameras, a bicycle jammed under the vehicle’s front wheels and an ominous emergency tent erected in its trail. Moira Gemmill had been riding that bike on her way to work from her home in Kennington to her job at St James’s Palace where she had recently been appointed as director of capital programmes for the Royal Collections Trust. Her new role was to supervise extensive modernisation projects for Windsor Castle and Holyroodhouse. She was a normal, considerate, commuting bike rider who understood the benefits of cycling, its convenience, efficiency and its possibilities of making cities into better places. Moira trained at Glasgow School of Art, concentrating on graphic design and photography. She initially worked as an illustrator before moving to Aberdeen Art Gallery as head of programme support. Her duties were mainly planning and staging exhibitions. Her success there led to her appointment, in the late 1990s, as head of design and exhibitions at the Museum of London. 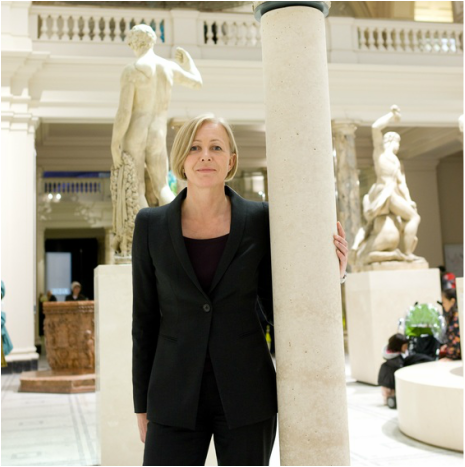 She worked under Simon Thurley, until recently chief executive of English Heritage, to raise the profile of the museum and the quality of its displays and temporary exhibitions. It was here that I first came across Moira, designing the installation of her first show called ‘London Bodies’ which looked at the lessons learnt about the history of the capital from the study of skeletons unearthed by the Museum’s archaeology team. She was a delight to work with - clear in her thinking, jolly and courteous, but very firm when necessary. With Thurley, she moved the Museum up the rankings of London attractions, increased its visitors and enhanced its reputation. She was then poached by the V&A Museum and led the Future Plan project, under the director Mark Jones, to emphasise the V&A's historic position as a design museum. She opened up the V&A's spaces, which had been built piecemeal over a period of around 60 years, and improved the circulation. During her time at the Musuem visitor numbers went up from 900,000 to 2.9 million. She commissioned work from key designers like Eva Jiricna, Amanda Levete and Stanton Williams. She was a prime mover in developing the V&A Museum of Design Dundee, the first UK design museum outside London, and the first British building by the Japanese architect Kengo Kuma. Moira was a fellow of the Royal Society of Arts and an honorary fellow of the Royal Institute of British Architects. The design world was very affected by her death. A death which was caused by designs that were not fit for purpose: a road network ill-suited to the enormous increase in cycling and an HGV with totally inadequate visibility, driver warning systems and side protection. Let’s hope the design world takes Moira’s tragic and unnecessary death to heart and does something about these miserable failings. 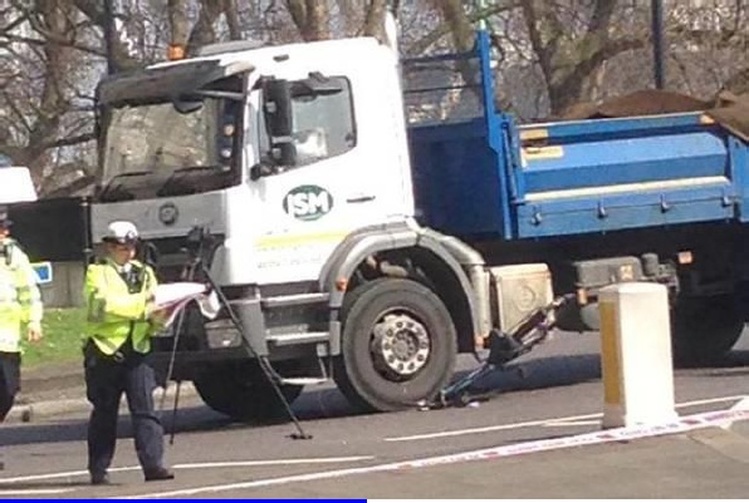 Moira Gemmill’s bicycle under the front wheel of a JSM truck at Lambeth Bridge. Mary Gemmill at the V&A Museum: she transformed the gallery into light, airy spaces; making it easier for visitors to find their way around and attracting millions more. She was looking forward to working on new projects with the Royal Palaces. See also SPOKES member, Sam Webb's passionate article on cyclists' killed on the roads, "Death of Hope"
Spokes campaigns for cycling to be a major part of a sustainable transport policy for east Kent and for the benefits of cycling to easily accessible to people and organisations in the area.